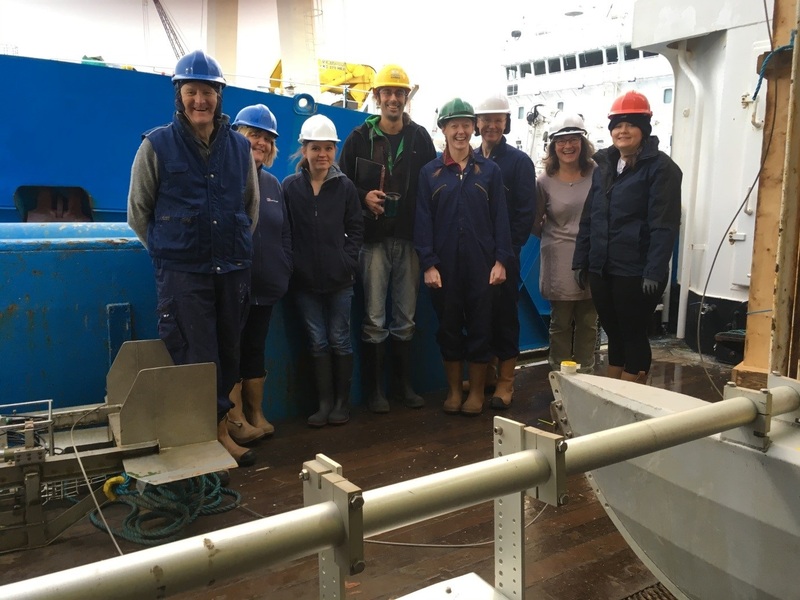 The first survey of the year for the MRV Scotia (0119S) involved sailing around Scotland for two weeks collecting a range of samples such as: water, fish, mud, marine litter. Below is a picture of the team obviously looking forward to being away for two weeks. 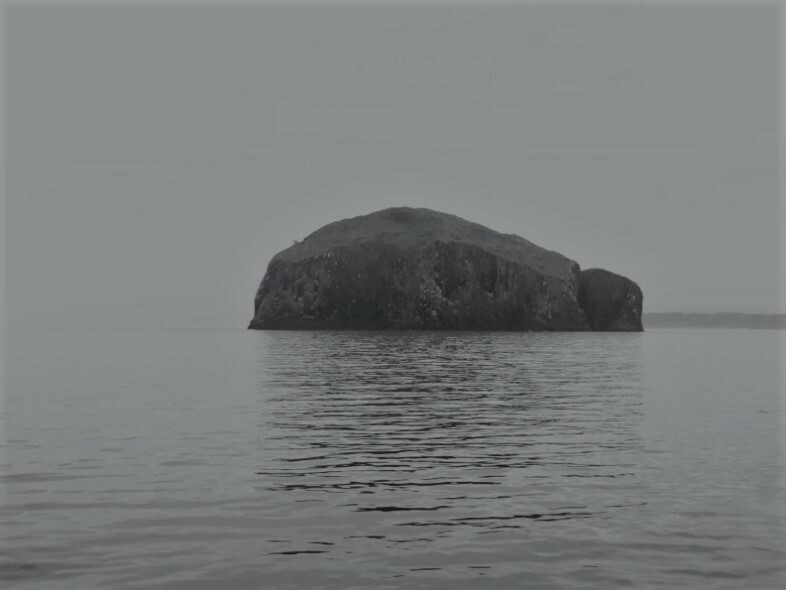 The Scotia sailed from Leith on a surprisingly calm sea and sailed passed Bass Rock on its way to Berwick; where we started collecting water for the coastal monitoring programme while steaming back north. The first mud grabs were collected near Montrose and two catamaran trawls, for collecting microplastics, were undertaken before we steamed east towards Montrose Bank. We then trawled for dab on Monday 7th January. All required fish were collected in one trawl, so the Scotia made its way north, following the coastline, towards Rattray Head. Due to poor sea conditions it was decided to shelter off Peterhead overnight. The ship then steamed towards the Inner Moray Firth where mud samples and fish were collected. 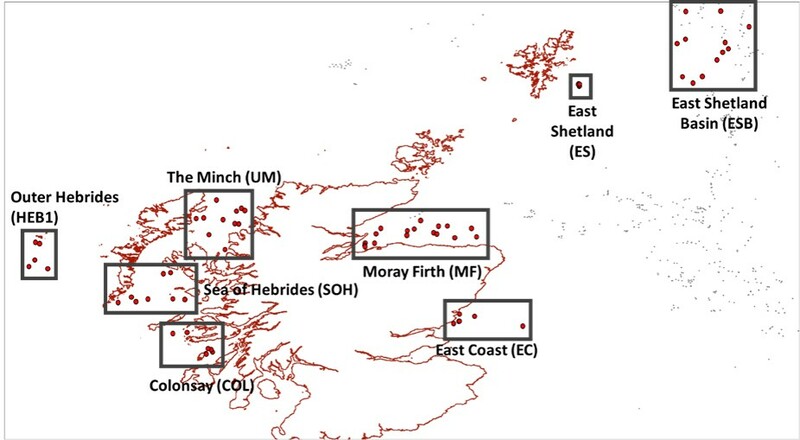 The programme is very ambitious, with six fishing sites and more than 70 sediment grabs, stretching from Shetland to St. Kilda. So far, we are on target to complete all our sampling sites. We managed to reach out to the East Shetland Basin and collected our samples of cod and mud grabs. We also managed to rush to St Kilda during a break in the weather to collect the required mud samples. Below is a picture of the fishing team at work in the fish house, processing dab collected from the West Hebrides fishing site. For each site, we aim to collect a representative amount of fish (dab, plaice, or cod depending on what we collect) to extract the following: bile, liver, stomachs, gonads and otoliths. We also check for disease and parasites, while measuring and weighing each specimen. 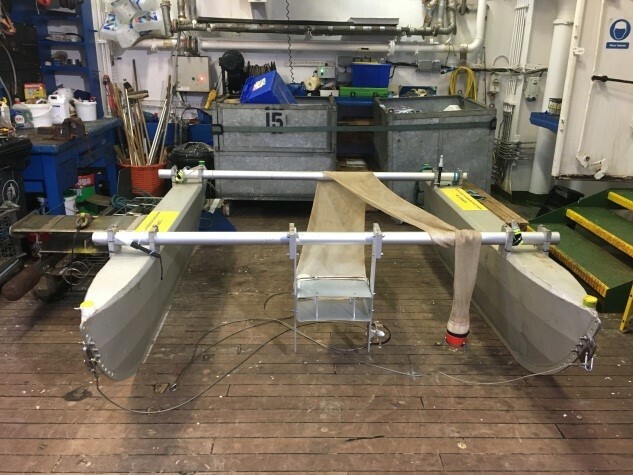 We have also been collecting samples for microplastics using the catamaran. Unfortunately, due to unfavourable weather conditions, we have only been able to do seven tows. 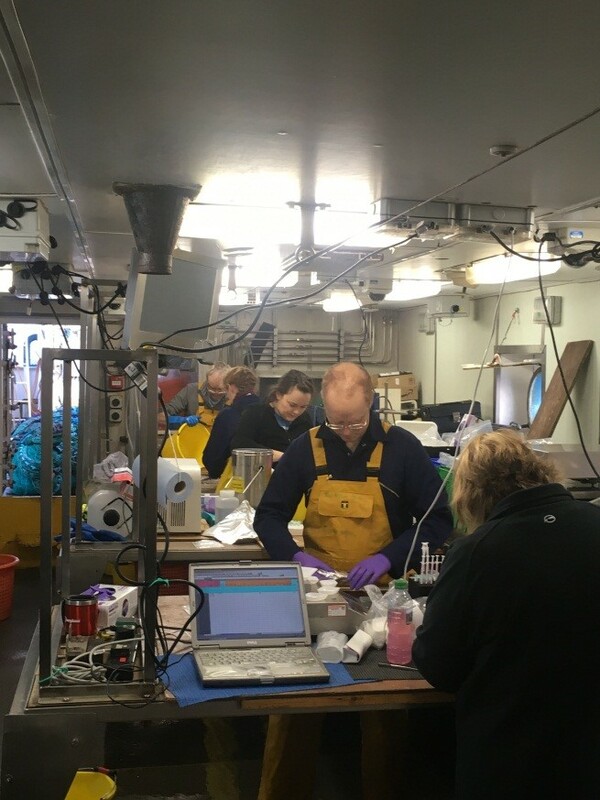 We are fast approaching the end of the survey and despite having a rough night yesterday while crossing the Minch with 7 m of swell, the morale of the team is still high… thanks to the glorious food and knowing we are on our way home!